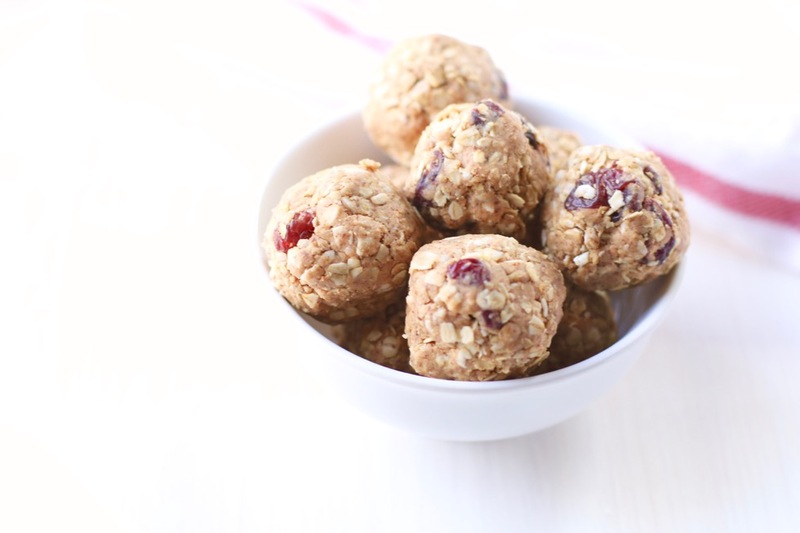 Almond butter, oats, and dried cherries combine in these no-bake bites designed to deliver a quick boost of energy and flavor any time of day. I’m excited to partner with California Almonds (my client) to share heart health tips and 20 different snack ideas to keep you crunching through the month of February. 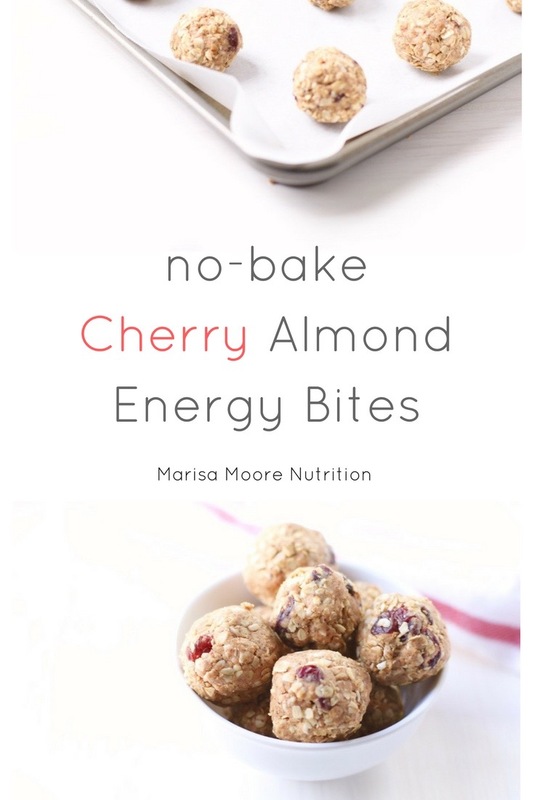 These no-bake Cherry Almond Energy Bites are one of my favorites but be sure to check out others like my Smoked Paprika Almond Popcorn, Double Almond Peach Granola, and Almond Butter Coconut Sweet Potato Toast here. Grab the easy recipe below and watch how easy it is to make this recipe! Stir all ingredients in a medium bowl to combine. Refrigerate the finished energy bites in an airtight container for up to a week. Try this recipe with just 1 tablespoon of honey. If it's not quite sweet enough add up to 1 additional tablespoon. Marisa - I made them but had a hard time getting the mixture to stay together. I plan to make again today and will add some water. Any other thoughts? By the way, I love the taste.